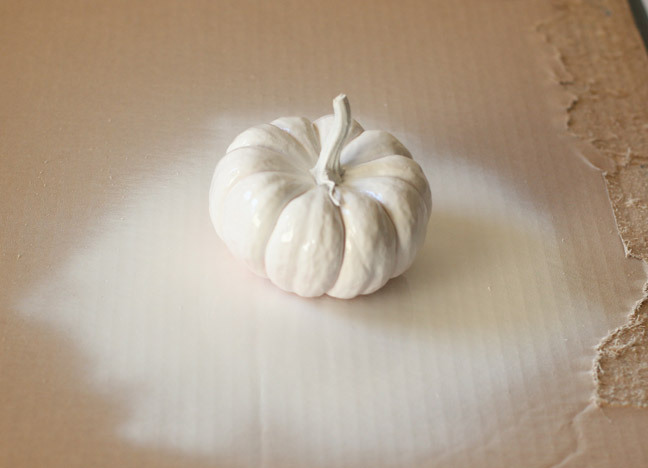 Turn regular pumpkins into something special with this easy DIY! Pumpkins have made their way into grocery store aisles which means now is the time to start thinking about Fall and Halloween decorating. 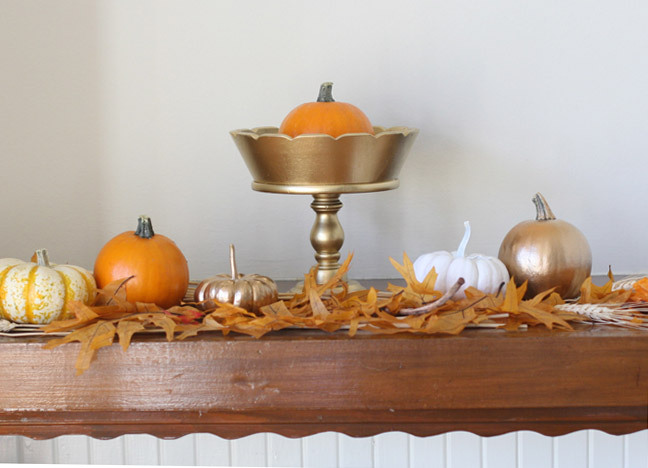 I love doing a simple Autumn themed mantle that can last from now through November. 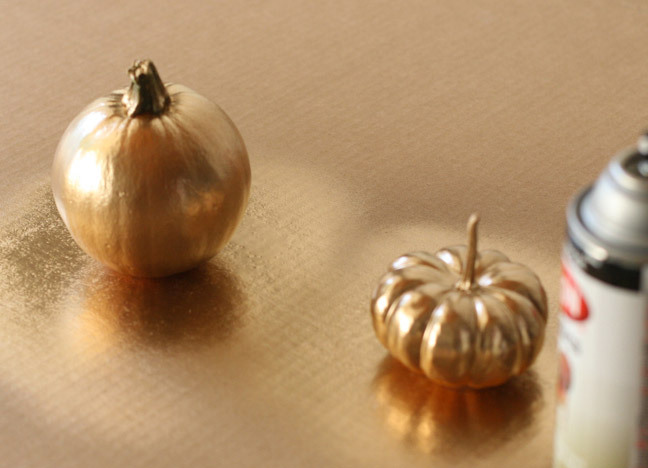 Pumpkins and gourds come in all shapes and sizes but only a couple colors. 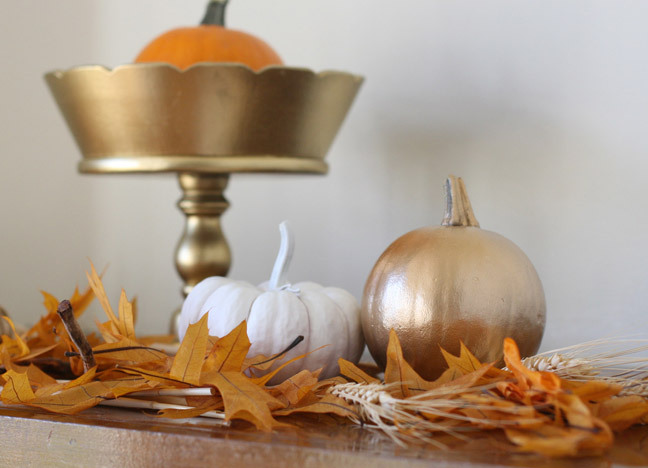 I love the idea of using a little spray paint to add some color and shimmer to your decorated mantle. 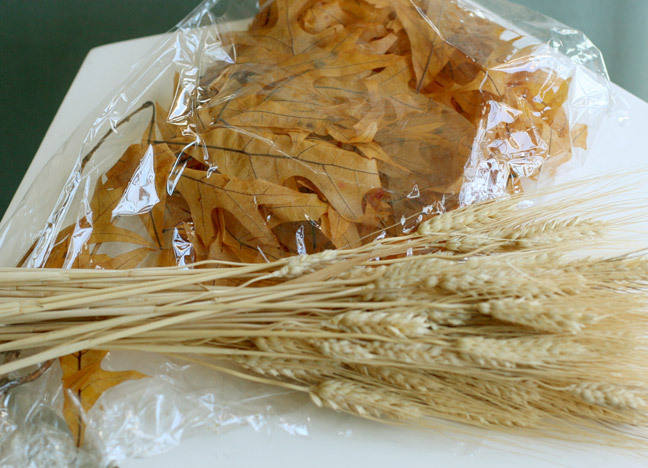 Here are some tips and the steps to make your own! Place the pumpkins you wish to spray paint on the cardboard box. Start with one color. You’ll want to be sure to stand at least a couple feet away to get an even coat onto the pumpkin. You also might want to wait about an hour for it to dry to the touch and then spray paint the bottom of the pumpkins/gourds. Pick up some artificial leaves and straw from your local craft or grocery store and arrange it on the bottom of your mantle. 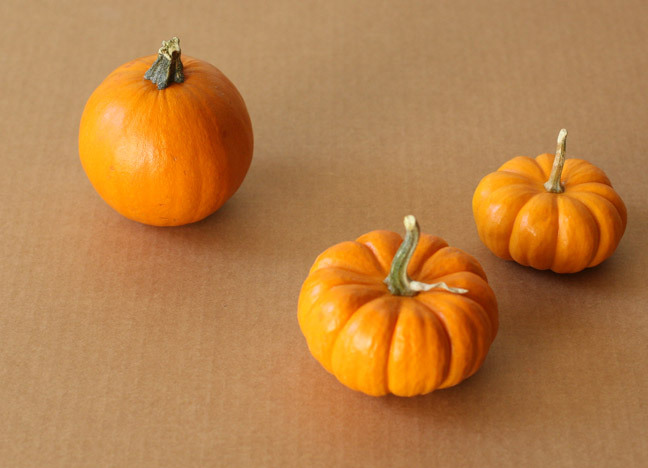 Arrange pumpkins, grouping them in groups of two or three on top of the leaves and straw. 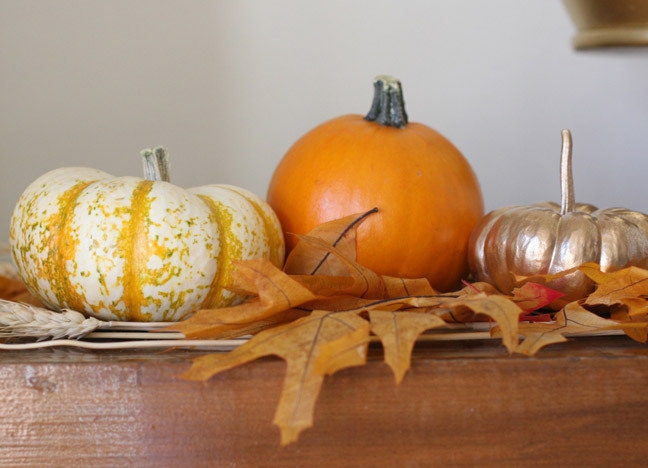 Try to mix the natural pumpkin shades with the painted shades. Adding some height to your display gives a nice final touch. 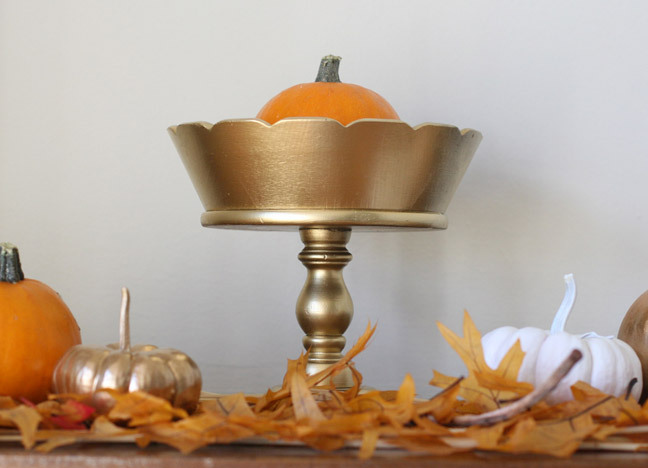 I found this wooden pedestal at a local thrift store and painted it gold as well. What a festive mantle now, all ready for fall!